Easter is such a lovely time of year, so much hope and promise for Spring. 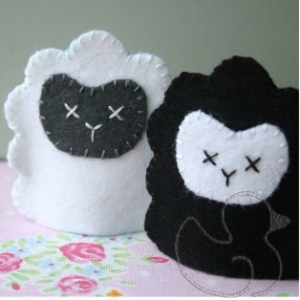 Make these finger puppets and add a little charm to a little one’s play time. 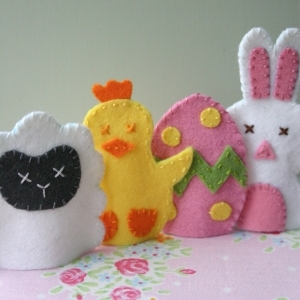 This Easter Friends pdf sewing pattern includes patterns for a bunny a sheep a little chick and a fancy Easter egg.